Although the countries of Mozambique and Brazil are located far from each other in miles, they share the same mother tongue and have relatively similar climates and also economic interests. Can they learn from each other and can they help each other? 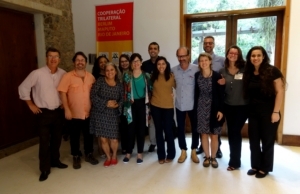 Since 2006, the German Development bank GIZ has been promoting a cooperation agreement between both countries in various sectors, and late last year one Rio de Janeiro University invited several successful conservation projects to share an internet platform that would increase visibility and promote tourism. Both the Golden lion Tamarin Project, and Conservation International participated and it shows we all have common interests in reaching out to help other organizations in both countries to engage with and share experiences. The very first stone was laid! 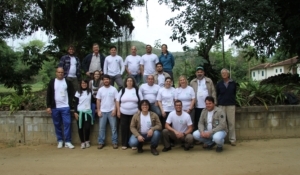 On August 24th, Regua hosted the Inaugural RPPN(*) or “Reserva Particular do Patrimônio Natural” Scientific Seminar in Rio de Janeiro state. 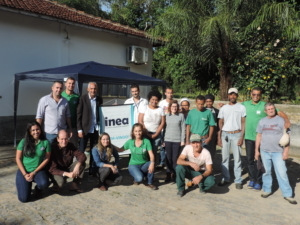 INEA – Rio de Janeiro State Environmental Agency – encourages land owners to create their own private reserves which are officially recognized by the state government. RPPN status allows no direct use of the land but allows activities such as environmental education, sustainable tourism and scientific research to be carried out. Much of REGUA’s land has been granted RPPN status and three new areas were finalised last August. There were over 100 participants attending the event that started in the morning and continued until the evening. Studies on forest ecology, flora and fauna inventories were presented to a very interested audience. 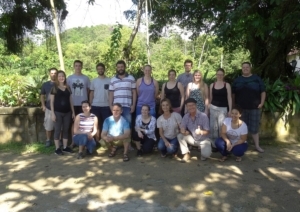 Land owners, university professors, undergraduates, post graduates, state and municipal authorities enjoyed this seminar which enriched everyone´s knowledge on the Atlantic Forest. 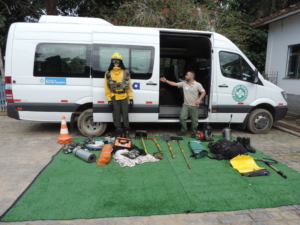 REGUA received members of the Rio de Janeiro voluntary Forestry Brigade, a grass roots organization made up of professional people from Rio city who are committed to conservation. The Team arrived on a lovely Saturday morning to enjoy a walk around the wetlands and discuss opportunities to support REGUA’s work. Among the issues discussed during the day were potential for help in combatting hunting and forest fires, first aid courses and community engagement through education programmes, these are all issues which could be used to support landowners across the globe. With REGUA’s successful Ranger Team, Community, Young Ranger and School education programme we were delighted to host the event and share our own experiences. The Brigade would like to include REGUA as a place where they can stage weekend events including hiking on the forest trails on the prowl for any hunters. Many members are retired but totally committed to forest protection and very keen to support REGUA activities. 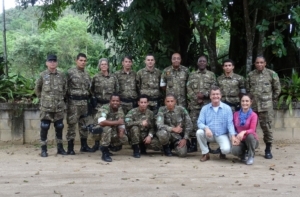 REGUA recently hosted the Atlantic Rainforest Restoration Pact workshop. The Restoration Pact is made up of all the environmental projects that are in some ways contributing to increasing forest cover in the biome. f restoration from all over Brazil. Severino and Ludmilla, led the group and the aim of the three days here was to test and improve monitoring techniques needed for the Pact restoration process. Itself a member, this was also an opportunity to present REGUA’s work and the group was divided into three teams to test the techniques the Pact had developed. Out in the field the groups were very impressed with REGUA’s forest restoration process which left us not only proud of our efforts but committed to continue reforesting. This is often the type of support needed to reach out and keep up the motivation factor. We are only too happy to contribute. The Rio de Janeiro Birding Calender for 2017 successfully kicked off on March 11th and 12th at REGUA. Some 30 local birders came to enjoy the wetlands and waterfall trail. 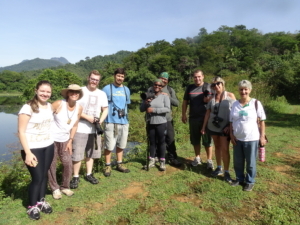 An early start, followed by Cirilo’s guiding enabled many first time birders to walk the yellow trail and see many of the over 180 species found in this habitat. There were ample opportunities to present the work that REGUA has been devoted to and the project’s future plans. People are always very receptive and positive and the end of the day was filled with promises of return visits and future enjoyment. 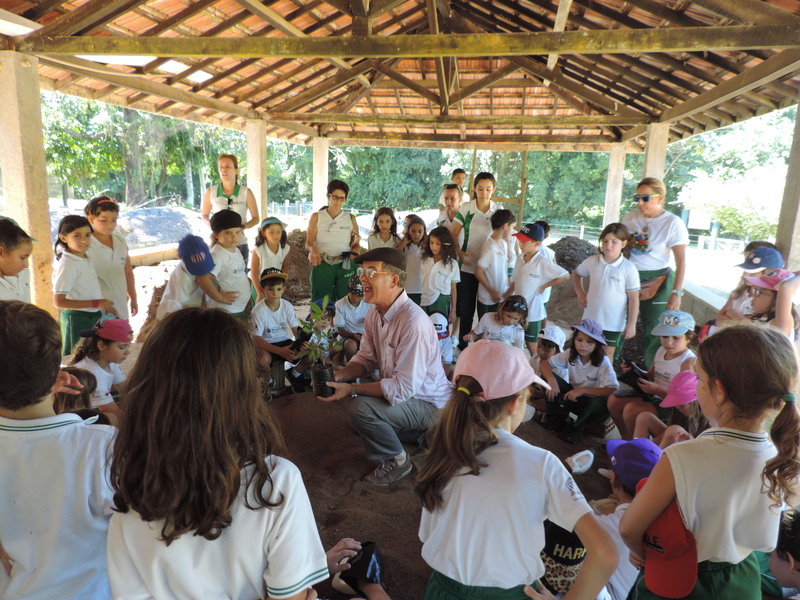 Continuing REGUA’s education programme, we were happy to welcome “Centro de Estudos Valladares” school from Cachoeiras de Macacu which recently held it’s annual Education seminar at REGUA’s conservation Centre. Eighty secondary school children came to REGUA to share the event accompanied by 15 teachers. The essence of the series of activities within the Seminar is to stimulate citizenship, by creating responsibility and encouraging the school children to understand that one day they will be members of society. 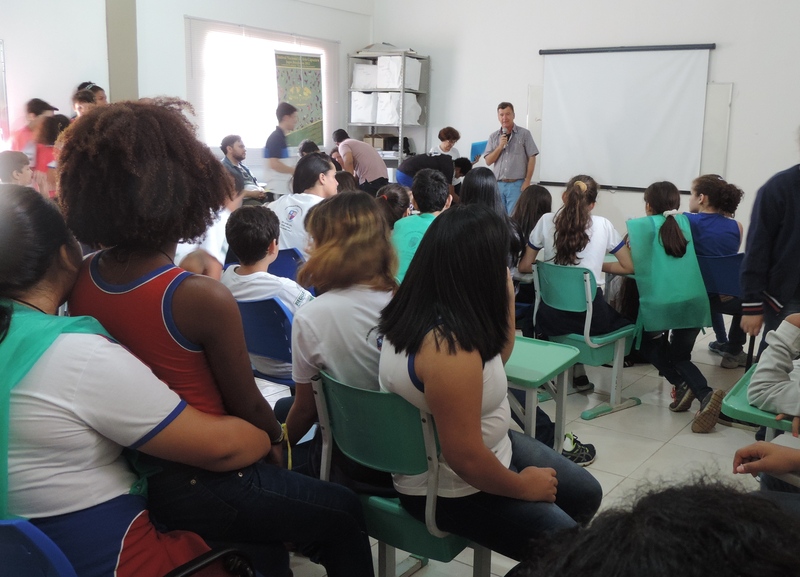 The classroom activities included interactive discussions on history of the municipality; Atlantic rainforest biodiversity and quality of life. The outdoor activities included walks using cameras as a means of perception. All these activities are wrapped around environmental themes, ending in a panel of photos of nature and debates. The children loved their visit and behaved very well. The event was a success and everyone had a great time promising to return to REGUA at the end of the year. The teachers also really enjoyed it and worked on presenting to the children the history of REGUA by researching the website. The results were amazing and left us very happy to see that what the project is doing is generating an understanding of our mission and their approval. 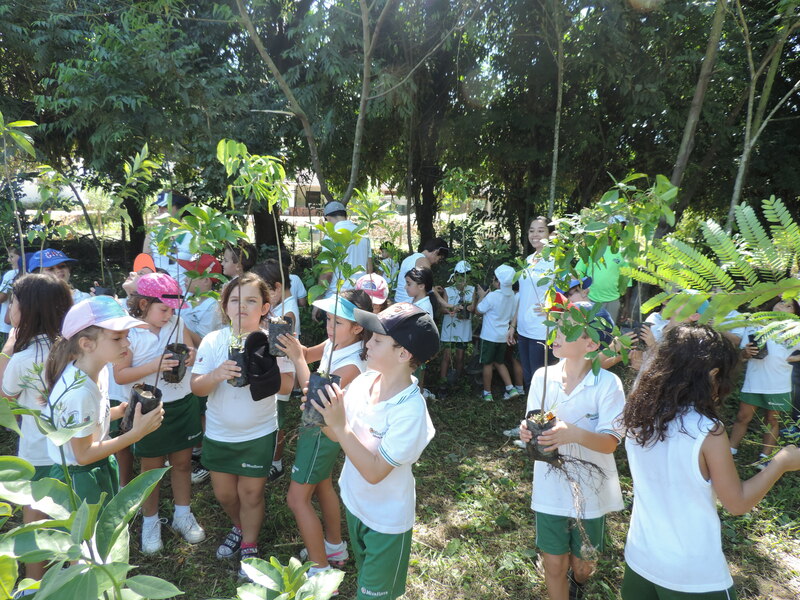 REGUA celebrated its 6th annual tree planting event with Miraflores Bilingual School from Rio de Janeiro. The children are up to around 8 years old and they have often woken up at four in the morning in sheer anticipation of their day visit to REGUA. The children are very excited and most interested in the activities presented. One can easily reach them by holding their attention. 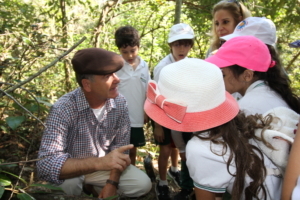 Miraflores requires that the entire visit is conducted in English and the children readily follow the explanations. Arriving at REGUA they have breakfast and then depart for Amanda’s hide followed by a walk to the observation platform. Although they are looking for caimans and capybaras in the wetland, they make a lot of noise thereby frightening off all wildlife! They then walk around the yellow trail which can take another half an hour and we explain the importance of trees as we walk along. Eventually they reach the Conservation Centre very thirsty. 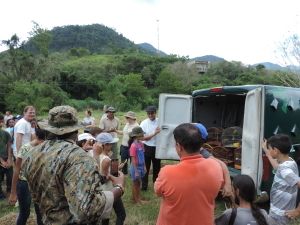 After refreshing cold water they are taken to the tree nursery where they learn about our tree planting programme. They learn that the seeds are collected from the forest then planted in seed boxes and nurtured. The young plants are later transferred to earth filled plastic bags. Then the fun comes when the children are taken to our tree planting area where they help to plant the saplings out, creating a new forest. The children complete each process agog with interest and compete to water the plants in the field. Even the teachers and headmaster get teary-eyed as he explains that the forests around him are fruit of earlier groups visiting REGUA. We are so pleased to be able to offer them this area which they cherish and call their own forest. Pope Francis is very popular in Cachoeiras de Macacu the nearest town to REGUA. 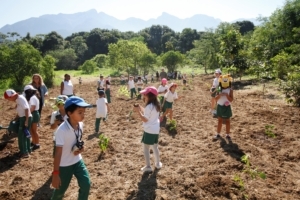 The Catholic Church wanted to celebrate his recent encyclical on nature by planting 1,000 trees in Cachoeiras de Macacu’s Municipal Park located at the entrance of the town. REGUA had seedlings available and offered them to the Park. The excited tree planters appeared promptly at 10.00 am and after a brief thank you sermon, everyone walked to the area to plant their trees. Children and their families participated in the event and within 90 minutes the work was done. This was a great job and the afternoon rain came to bathe the trees. The Forest Police also celebrated the act by releasing some cage birds and the children were delighted making further plans to reopen the overgrown paths in the Park.